The U.S. Department of Transportation proposed Dec. 13 that all new passenger cars and light trucks have dedicated short-range communication (DSRC) systems that transmit and receive basic messages about vehicle speed, location, braking and other data. Transport Canada is reviewing proposed U.S. regulations that would require new vehicles to communicate with each other, a breakthrough technology that’s designed to predict and therefore prevent crashes. The U.S. Department of Transportation proposed Dec. 13 that all new passenger cars and light trucks have dedicated short-range communication (DSRC) systems that transmit and receive basic messages about vehicle speed, location, braking and other data. DSRC systems allow vehicles to “talk” to each other on the road and to infrastructure equipped with the systems, allowing drivers to “see” around corners and avoid potential collisions. As the federal body responsible for transportation policies and programs, Transport Canada said it has not yet proposed a mandatory requirement for vehicle-to-vehicle communication systems. Canada often follows the U.S. lead, however, when it comes to vehicle-safety and emissions standards. “As part of the Canada-U.S. Regulatory Cooperation Council initiative, Canada and the U.S. have agreed to work collaboratively to coordinate and align our light-duty vehicle safety regulations and standards. 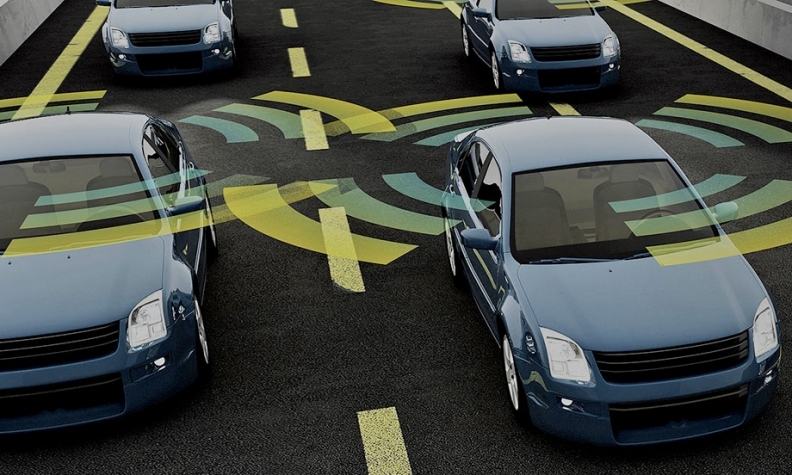 This includes ongoing research efforts and initiatives to support the deployment of connected vehicles communication systems in new vehicles,” Gauthier wrote. The U.S. proposal requires that automakers equip half of all new cars with the technology two years after the National Highway Traffic Safety Administration issues a final rule, which it expects to do in 2019. A Full implementation of V2V technology would be required within four years of the final ruling. The NHTSA has said the technology could reduce traffic crashes by as much as 80 per cent once integrated in all cars and light-duty trucks. The U.S. proposal links DSRC systems to crash-avoidance technologies such as automatic emergency braking to prevent collisions. “In 30 years we won’t be concerned about crash protection, the focus of making vehicles more resistant to impact might change to making vehicles more avoiding impact,” Iny said. The Canadian Vehicle Manufacturers Association did not respond to calls and emails requesting comment. Reuters and Ryan Beene contributed to this report.